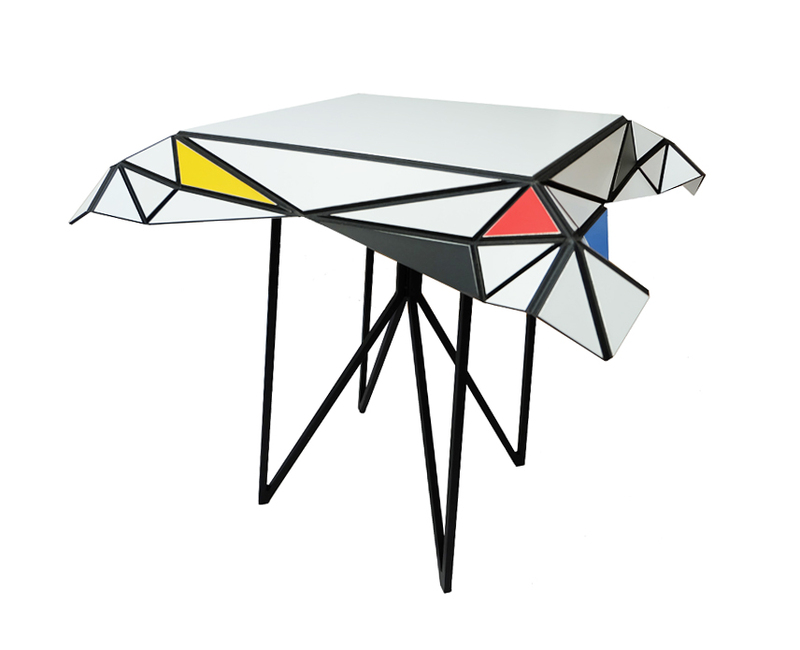 Inspired by the works of Dutch painter Piet Mondrian, this elegant and bold side table is also a work of art. The black lines are the natural result of folding the sandwiched aluminum composite. The Mondrian table may be customized with your choice of colors or finished in a classic white top with black lines. Also available in the more subtle pure white version where light and shadow define the angular folds, more reminiscent of origami. The black fold lines will appear on the underside in this version. All corner edges have been rounded so there are no sharp edges and the aluminum at the sides is lightly supple. 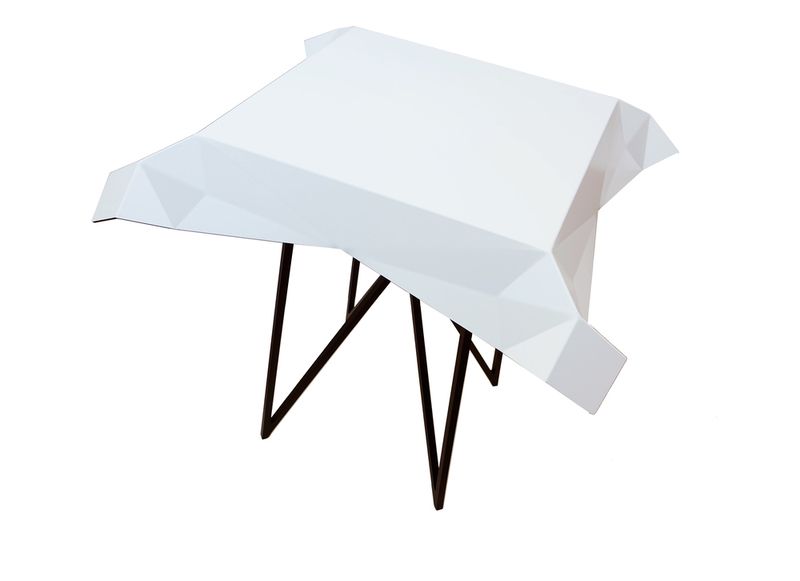 The black steel base legs perfectly compliment the geometric forms and provide a solid base for the top.